Finding a reputable, affordable Vernon Hills window contractor shouldn’t give you a headache. By seeking a company with experience in the industry, relationships with high-quality manufacturers, and a commitment to providing a free consultation to every customer can alleviate the pain of it all and ensure a positive experience. To learn more about window replacement from Siding and Windows Group, call today for your free quote. Siding and Windows Group partners with only the highest-quality manufacturers to bring you lost-lasting, high-quality windows. 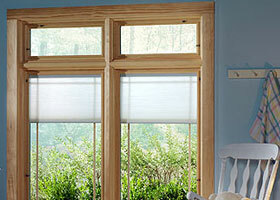 Marvin Windows, sold at Siding and Windows Group, are known for their long life, ease of use, beautiful look, and quality. We also have capability to supply, install, and maintain fiberglass windows, wood windows, and vinyl windows, which means nearly any window you need can be done by the same company. At Siding and Windows Group, we display our commitment to your satisfaction by providing a 100% satisfaction guarantee. As a direct result, 100% of our customers indicated that they would recommend us to a friend. With over thirty years in business, we not only know how to do the job right but how to provide the customer service you need. Call today to schedule a free, no-obligation consultation. At no cost to you, you’ll get all the information you need to make an informed decision. We had decided on the higher level of detail on the windows and it was worth it.